It’s easy to hate things because they’re different, especially when it comes to video games. Most games are more of an investment than other forms of media, not to mention they have an abundance of sequels and spinoffs that feature many of the same characters. So if you grow a nostalgic attachment to a particular character or franchise and the publisher in charge of the property decides that it is in need of a large scale makeover, gamers will take notice. Not only will they take notice, but they will bring about the kind of ire that will make those decisions seem like they were on the scale of sacrificing their first born child. While I was never that passionate about Devil May Cry, even I had to question the wisdom of completely transforming the character of Dante. Regardless, Capcom had the guts to stick to their guns and DmC: Devil May Cry now exists as a game you can buy. 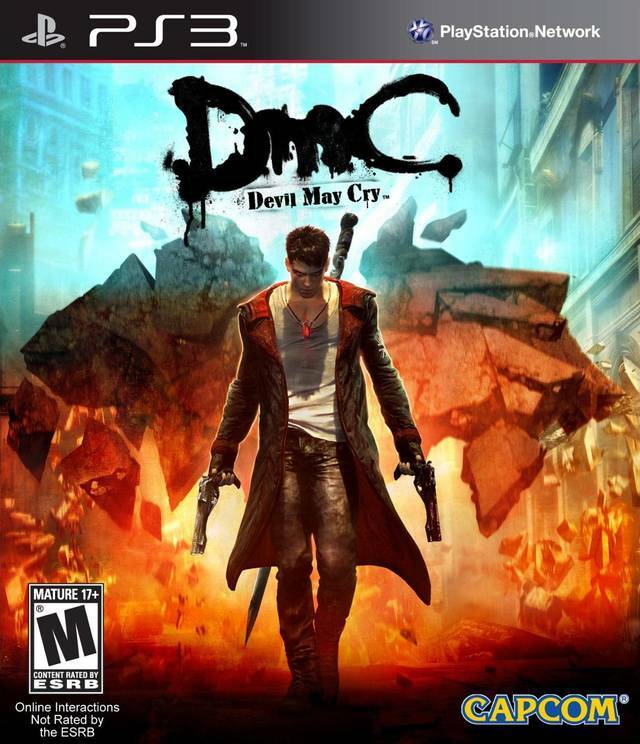 DmC is a franchise reboot, in the sense that the titles that came before don’t exist in the same universe. They share many of the same characters and concepts, but this is very much a western retelling of a very Japanese story. In this universe, Dante is a white trash ruffian who lives in a trailer divulging himself on women and booze on a nightly basis. He finds himself hunted down by a demon king named Mundus, who is aware of his status as a Nephilim, the offspring of a demon and angel. Nephilim pose a threat to Mundus and his demon followers, especially given that they possess the powers of both races. 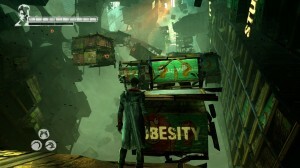 Dante eventually meets a medium named Kat who works for the Order, a “terrorist” organization dedicated to stopping Mundus and his enslavement of humans via a soft drink called Virility, which given the in-game advertisements of the product make me think of some weird blend of Mountain Dew and Viagra. He meets their leader, Virgil, and together they construct a plan to bring down Mundus once and for all. Now having played the game, I can say things such as I don’t like the new Dante’s appearance or his new personality and not feel bad about it. That said, I can also add a “but” at the end and say that Ninja Theory did a better job of world building than their predecessors and still manage to get you to come around to Dante’s cause. He remains cocky and arrogant through and through, but he does grow on you after awhile. The story seems structured as a commentary on our own society, insinuating that things exist as they do because of the influence of demons. It was a neat approach, and I enjoyed the ride while it lasted. Whenever Dante encounters demons, he gets dragged into a world called Limbo. While in Limbo, he can no longer interact with regular humans (though he can see and hear them) and the world around him can twist up and change shape. One of my favorite things about the game was the world’s aesthetic and how the various locales that you visit can morph drastically as you play through it. Words will sprawl against the walls, saying things like â€œKill Danteâ€ when a demon assault begins, though some more subtle changes can occur to the scenery as well. Posters that show a muscular man drinking Virility will suddenly grow fat, and approaching inanimate objects will cause vines to rise up and crush those objects right in front of you. You’ll journey through city streets, subway tunnels, office buildings, and more. There’s even a boss battle that has you view the action through the lens of a helicopter camera as a news reporter commentates on what’s going on. Despite all of the style emitted from the rest of the game, Dante’s appearance still remains as the one sore spot in the whole package. Sorry. Aurally, the DmC likes to blast some very heavy metal tracks out of your speakers. This is certainly positive if you feel the adrenaline fueled music selection enhances the onscreen action (as it does for me). If it’s something that makes your ears bleed, well, you are given the option to adjust the volume levels of specific things. Though it’s not as if the prior games didn’t have a similar sounding selection. The voice actors put on a good act despite a script that called for some awfully cheesy dialogue at times. Fortunately, most exchanges don’t devolve into a cursing contest like the boss battle with the Succubus featured in the demo, but again, the frequent one-liners are pretty common for Devil May Cry. One thing I did notice is that the sound tends to drop out at certain points, so playing with subtitles on wouldn’t be a bad idea. Dante has a great deal of attacks at his disposal. Triangle acts as the basic sword attacks, while circle can launch enemies in the air. 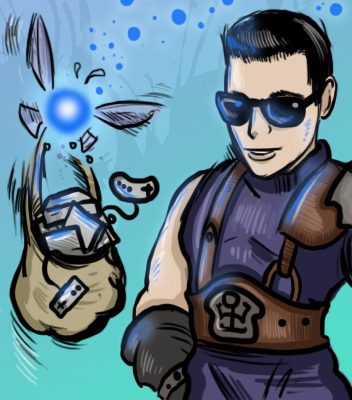 While airborne, you can jump with X in order to continue the combo, or shoot them with Ebony & Ivory using square. To dodge attacks, a simple tap of either L1 or R1 will cause Dante to dive off to the side out of harms way, though he’s not invincible while he does this. Clicking both thumbsticks in will unleash Devil Trigger mode that turns Dante’s hair white and his coat bright red, and not only heals damage sustained, but increases damage and makes it easier to build up a Style multiplier. During the course of the game, he will acquire both angel and demon abilities controlled by L2 and R2 respectively. By holding one of those buttons down, he will have access to weapons that correspond with those abilities, opening up a new world of combos. It’s kind of a pain to have to hold the buttons down rather than toggle, though as you get used to it, you find that it does make it easier to mix in demon and angel attacks with your regular combos. The game begins to feel a lot like Ninja Theory’s Heavenly Sword with having the different forms of combat at your disposal, though with more variety than even that as there are more weapons than just what were featured in the demo. In fact, the directional buttons will let you toggle between weapons, so if you’re very quick, you can change your gear in midst assault. While the game is easy to control once you get accustomed to where everything is, there are a few instances where it does feel a bit overwhelming. Dante will eventually gain a grapple ability, which comes in two flavors. 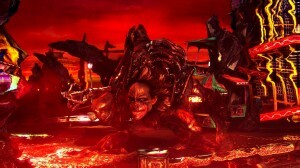 The demon version will pull platforms to him while the angel form will pull him to the platforms. His angel form also has a glide ability that will propel him forward. All of these techniques involve using two buttons and once, and in situations where you may have to grapple a platform and then glide to it in the same jump, it may result in some jumbled fingers. Situations like this arise more in the challenges than anything else, but can still create some frustration. 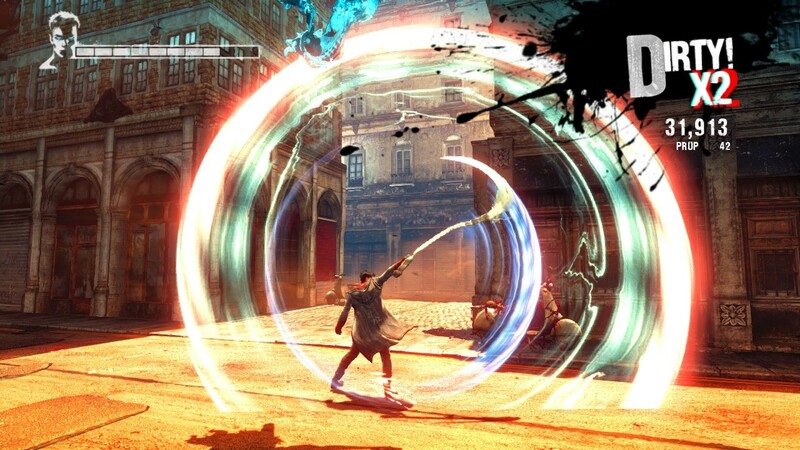 DmC features a lot more platforming in general than fans of the previous entries may be accustomed to. There are a number of segments where the ground crumbles around you and you must jump and grapple your way out of danger. The penalties for failure are relatively minor, usually just sapping some health each time the game drops you back to the starting point. It can become a bit irritating for some of the longer segments, especially since it will always bring you back to the beginning when you’re dealing with platforms that move or fall away. Attacking enemies builds up points, and using a variety of different moves in quick succession will make your Style rating go up, building a multiplier. This in turn fills a meter that awards points to be spent on new abilities for Dante or any of his weapons. A total score is added up at the very end of the level based on Style points acquired during the mission, as well as the time taken to complete the level and any collectibles found along the way. Your final score for the stage will net you more ability points to spend on Dante’s equipment. Red souls can be found either from defeating enemies or destroying objects that contain them, and are then spent on purchasing things such as healing items or health upgrades. As before, these items can be used from the pause menu if Dante is in a bind, though their use will deduct from your overall score. DmC introduces new enemy types at regular intervals, which helps to keep the experience fresh. You’ll encounter a fair share of faceless lackeys at the beginning, though before long you’ll face down gluttonous demons who will charge at you and can only be damaged from the back, as well as shield carrying cherubs that rain down shots from above. Some enemies only have weaknesses to certain weapons, usually denoted by their color. Others can be damaged by anything, but are especially susceptible by certain kinds of attacks. Any enemy carrying a shield can have it shattered by demon weapons, for example, or have them grappled away. This approach to having multiple ways of dealing with a particular foe keeps the action exciting. Various keys and doors lay hidden within each stage, some being unreachable until you obtain an ability further into the game. Missions are accessible at any time, so should you want to go back and find something you couldn’t reach before, it’s quite painless to do. Finding and unlocking doors gives access to secret challenges, such as defeating enemies within a time limit or racing towards a goal. 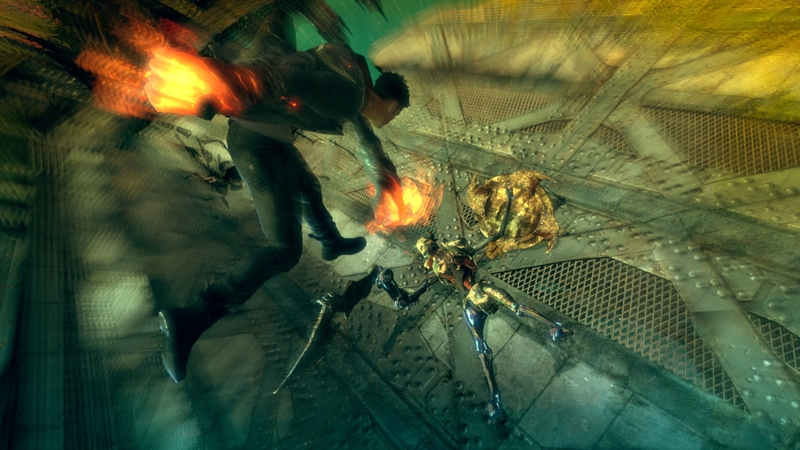 Success will bring an item that, when four are collected, raise Dante’s health bar. Some of these get quite challenging, sometimes requiring you to fight using only certain weapons or only allowing enemies to get damaged when standing within a small circle. They can be retried easily at any point though and are completely optional. 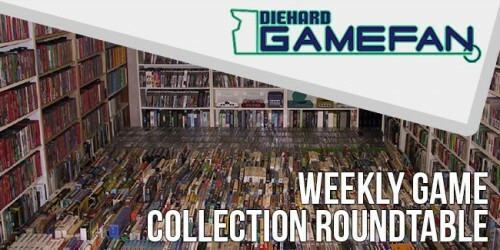 The game can be gotten through in less than ten hours, though that can be extended depending on how much time you spend looking for collectibles and how many deaths you incur. There are also three difficulty levels from the get go, with another four unlockable. One of those, Heaven or Hell makes it so that everything is a one hit kill (including you) whereas Hell or Hell makes it so that just Dante dies in one hit. On the other end of the spectrum, the default Human difficulty is easy enough that the average player can get through it without any deaths. There’s something here for everybody, as both casual players and masochistic gamers can find something that will make for a suitable challenge. If you want to know how you measure up to your friends, or the rest of the world for that matter, a leaderboard will compare your best scores on the various missions. There’s a white-haired version of Dante that is also unlocked from completing the game, though the change is merely aesthetic and will not change his abilities or alter his voice or anything like that. 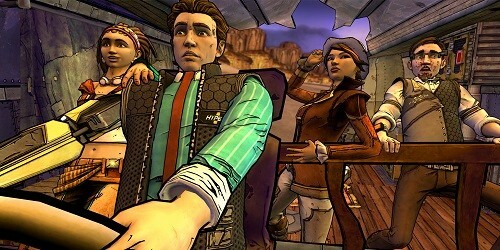 New outfits and skins for weapons will be purchasable from the PlayStation Store as well if that tickles your fancy. DmC: Devil May Cry offers something for both fans and newcomers alike. While the fans are going to remain sore at the idea of the previous Dante character getting scrapped for a western re-imagining, the gameplay is as fun and over-the-top as it ever was. And since newcomers don’t need to have played previous entries to understand what’s going on, they can jump right in. Fans of Ninja Theory’s previous work will appreciate the similarities to their other titles as well. 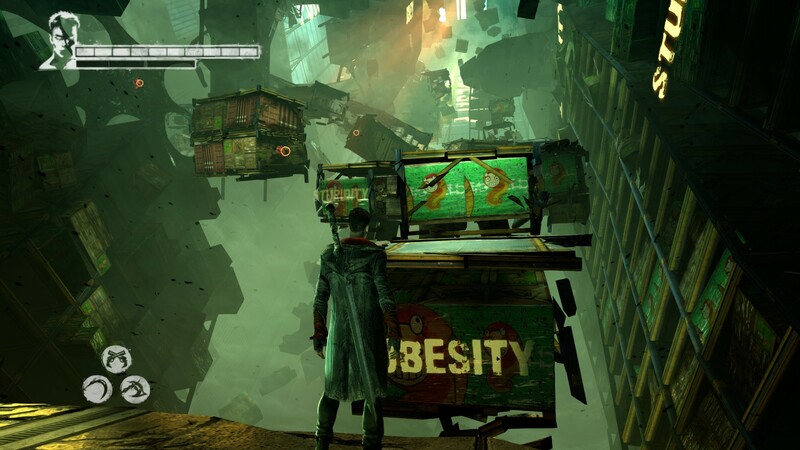 I’m not going to lie, DmC: Devil May Cry feels like a much different game than all of the ones that came before it. The characters and story, despite sharing similarities, are all new. On the other hand, the world is far more interesting this time around, though the characters require a bit of incubation time before they start to grow on you. The reboot is more accessible than previous games have been, with seven different difficulty levels, and a combo system that makes it easier than ever to rack up a lot of Style points. At the same time, the variety of weapons and the ability to switch between them in midst combo allows for for a plethora of ways to dispose of your demon assailants, plus a number of environmental obstacles can be used to your advantage as well. 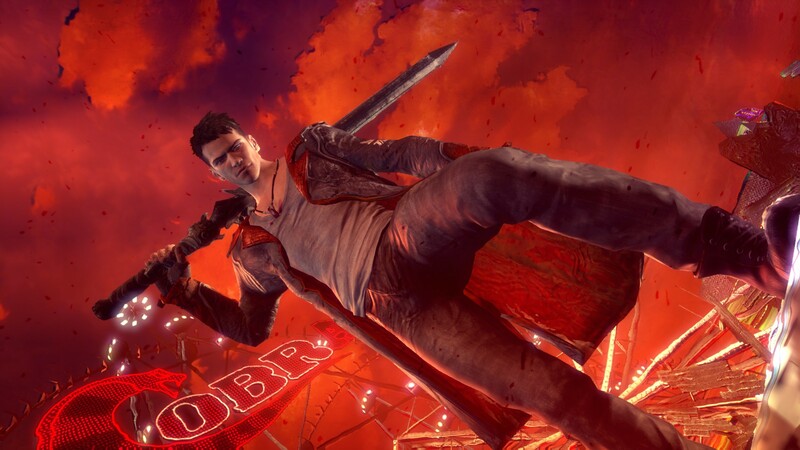 Whether you feel Devil May Cry should have been rebooted or not, it remains that Ninja Theory crafted a title with a creative setting, interesting narrative, and superb content. It’s an excellent way to kick off the year.